"""The KUHL RENEGADE SHIRT is cut from durable, stretch fabric that has a brushed back, repels water, and dries quickly with DWR. UPF 40 provides sun protection, and KUHL signature 3D anatomical design follows the contours of your body for superior fit and comfort. 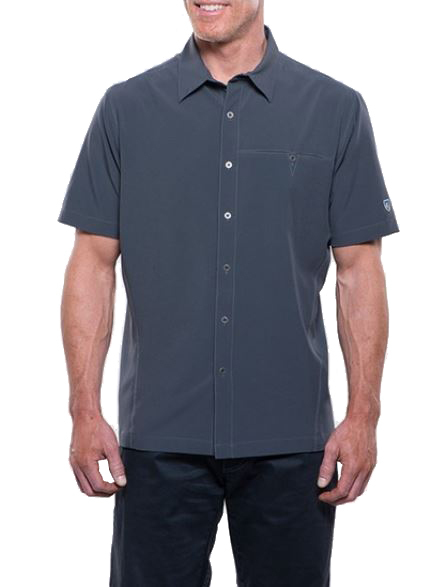 The RENEGADE shirt features KUHL signature buttons and a left chest pocket with button closure. Easy care, wash and wear.